Seu traço é incrível, muito legal! Awesome! Makes me want to read the books again. I love the painterly quality of your work. Please continue updating, you are an inspiration! Very cool, you make it look so easy. How long do you work on something like this? Keep up the good work. Nice job man, exactly how I pictured it. 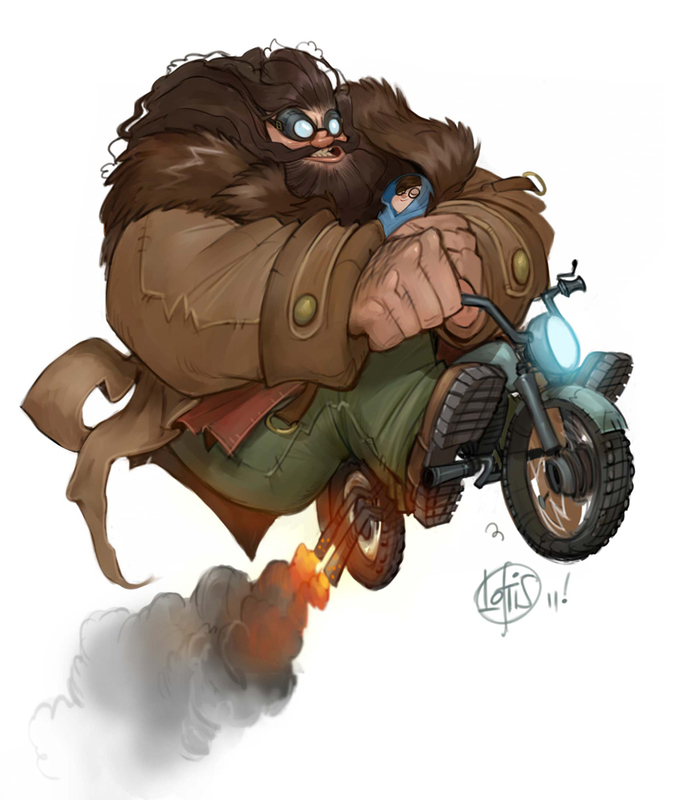 Hagrid looks like a beast! Too funny, I can just imagine the crazy noise that's coming out of that bike.